The 10 Best Bookstores in Arkansas! Nothing puts you at ease faster than stepping into a bookstore boasting shelves of classic works and modern bestsellers. There are many great book stores and shops located throughout the Natural State, but there are few that stand out like the words on the pages of the greatest books. 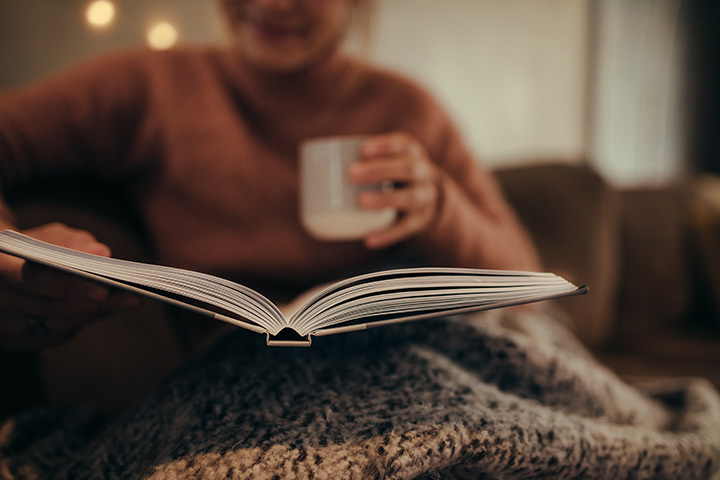 Grab your reading glasses and bookmarks all of you book-loving Arkansans because here’s our list of the 10 best book stores in the state! This timeless landmark in Fayetteville is “where good books go to good people.” Dickson Street Bookstore has been one of the most well-known bookstores in the Northwest Arkansas community since it was opened in 1978. The Dickson Street Bookshop’s large selection of authors and subjects is sure to contain the book you’re looking for. With its livelihood rooted in its community, WordsWorth Books & Co. is Little Rock’s oldest and largest independent bookstore. WordsWorth’s is well-known for specializing in local interest books, the wide range of new titles offered, and a staff that is available seven days a week. It’s a Mystery Bookstore offers locals a marketplace to browse, trade, buy, and sell gently-used books that are still in good condition. This Northwest Arkansas bookstore is dedicated to book lovers of every kind and offers over 20,000 titles by more than 2,000 authors. It’s a Mystery is located just outside of Eureka Springs on the Square in downtown Berryville. When you walk through the door of this popular bookstore you’ll be warmly greeted with a “Welcome to That Bookstore!” That Bookstore in Blytheville is an independent bookstore where it is more than just books…it is a community. Adding to its Arkansas charm, That Bookstore in Blytheville has been visited by a surprising number of famous folks. Located on historic Henri de Tonti, Once Upon a Time Books is a Northwest Arkansas bookstore favorite. True to their motto, this place is full of happiness! With a mission to get as many books into the hands of as many children as possible, Once Upon a Time Books features popular Book Fairs selling used books for just a dollar each. Located on historic Main Street in downtown Van Buren, Chapters on Main is staffed with passionate readers. This gently-used book store is a local favorite that is well-known for its Kids Loft and scheduled story times as well as for their knowledgeable “bookies” and Mama Carmen’s coffee. The Friendly Bookstore is an all-volunteer operation of the Friends of the Rogers Public Library. This quaint bookstore, located in downtown Rogers, is stocked with a large selection of used books as well magazine bargains. Donations are always accepted at The Friendly Bookstore, where the proceeds are donated as grants to the Rogers Public Library. At Nightbird Books, they believe that books and words are powerful ways to strengthen community and individuals. With that in mind, Nightbird Books features a wide variety of nonfiction, fiction, and children’s books. They also provide a place for local authors and readers to come together to present their works and have access to book clubs and writing groups. This locally-owned, independent bookstore is located on historic Dickson Street in downtown Fayetteville. Folks can’t help but notice the great prices and the great organization at this used bookstore in Little Rock. The Book Worm, where they buy, sell, and trade used books, has been part of this Central Arkansas community for over a decade. River Market Books & Gifts is the only store of its kind in Little Rock’s River Market District. River Market Books, the “gently read” bookstore of the Central Arkansas Library System (CALS), offers a 20 percent discount to Friends of the Central Arkansas Library System (FOCAL). While you’re there browsing books, be sure to check out the popular Bookends Café and A Thousand Words Gallery.